mount coot-tha gardens | There once was a creek . . . This is the fourth in a series of posts about Langsville Creek, which was Western Creek’s upstream neighbour on the Toowong/Milton Reach. Before reading this post, you may like to look at Part 1, Part 2 and Part 3 of the series. Previously, on Uncovering Langsville Creek . . . The first three episodes of this little mini-series have unfolded much like a daytime soap: the plot has thickened, but not much has happened. Well, without giving too much away, this is the episode where things happen. It is the murder-mystery end-of-season thriller. Characters will die, secrets will be revealed, and lost worlds discovered. But first, a brief recap. The previous episode introduced the map that you see below, which dates from 1929 and is the only one I have found that shows the upper reaches of Langsville Creek. 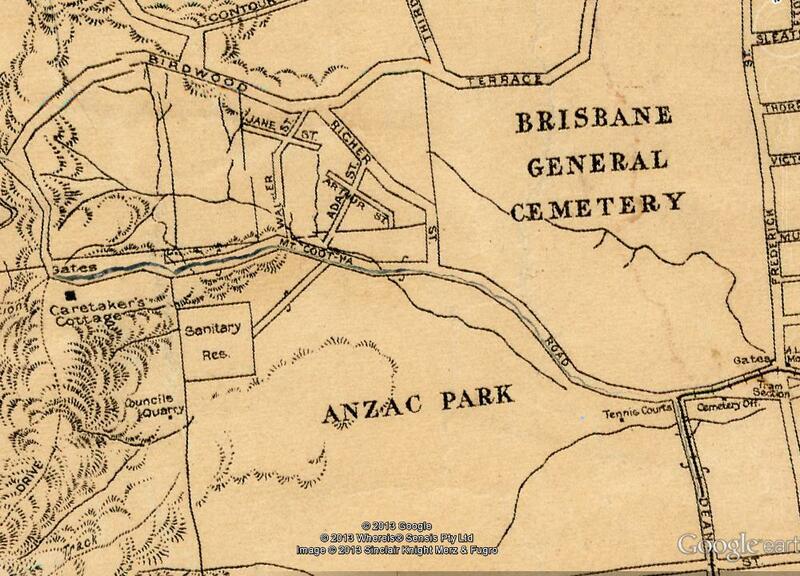 We explored the stream that runs from the upper-left corner of the map into what is labelled as Anzac Park. 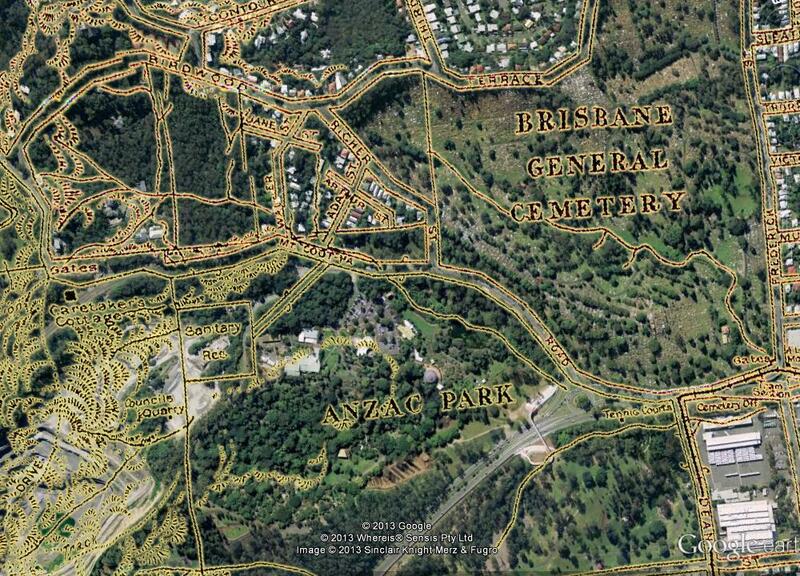 Today, the area at the top-left is the Treetops on Birdwood estate, and the area labelled as Anzac Park is the Mount Coot-tha Botanic Gardens (hover your cursor over the image to see the modern landscape). In the slopes below Birdwood Terrace we found the headwaters of Langsville Creek more or less as they have always been — as gullies running through dry scrub. Immediately across the road, however, we found lush rainforest streams flowing into large lagoons, all part of the regulated water cycle of the botanic gardens. Note – many of the pictures in this post contain two images, which flip back forth when you hover your mouse over them. On a mobile device these images will switch when you touch them, and then switch back when you scroll away … if you are lucky. For best results, please view this article on a desktop or laptop. Figure 1. 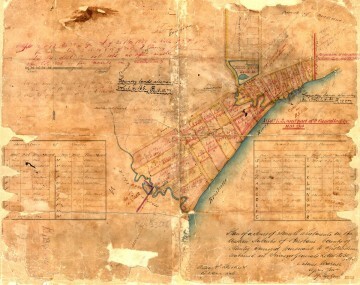 A survey plan of the Milton area in about 1850 (B.1234.14), held by Queensland’s Museum of Lands, Mapping and Surveying. In an earlier post called The Waters of Milton, I explored a survey plan of Milton drawn in 1850 (Figure 1). 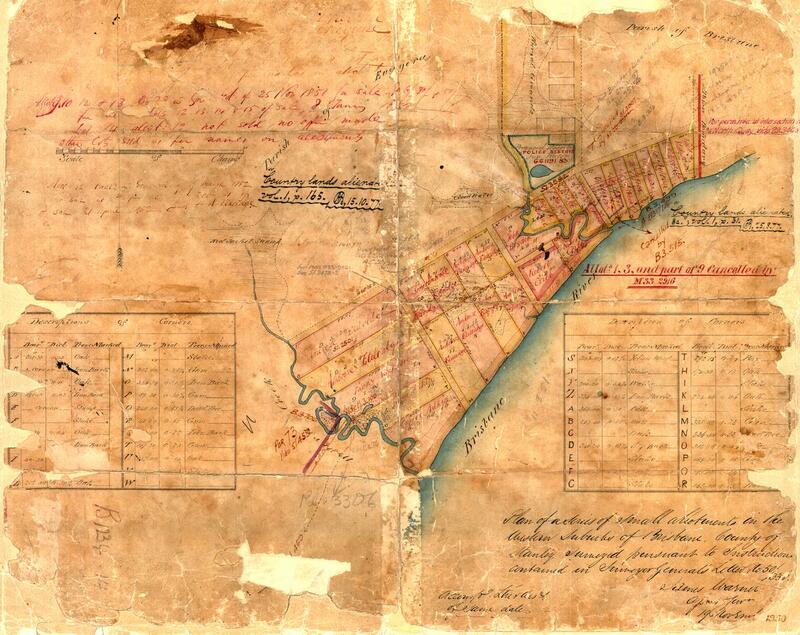 Survey plans are valuable historical artifacts because they generally represent the first efforts to capture the landscape on paper. They reveal natural features that have long since vanished, such as creeks, swamps and even hills. They also provide insights into how the colonists saw the land, indicating its potential uses and specifying how it was to be divided up among its new owners. Since writing that post, I have obtained several more digitised survey plans of the Milton Reach and Western Creek areas, thanks to the assistance of the Museum of Lands, Mapping and Surveying, which is part of the Queensland Department of Natural Resources and Mines. I look forward to featuring them all in articles in the future, but today I will explore just one of them. This particular plan carries the catalogue name of M.31.65. I have no idea what that means, but then there is a lot about these plans that I am still fuzzy about. Some of the surveying markings may as well be hieroglyphs to me, but thankfully there is much that can be gleaned even without specialist knowledge. Unlike the Milton plan, this one depicts an area inland from the river. I’ll get to the precise area shortly, but first we need to dispense with some formalities. This is the third in a series of posts about Langsville Creek, which was Western Creek’s upstream neighbour on the Toowong/Milton Reach. Before reading this, you may like to look at Part 1 and Part 2 of the series. I started this series of articles about Langsville Creek as a distraction from my original mission of writing about Western Creek. My new interest soon produced another distraction when I stumbled across a dump of old bottles and cans while exploring Langsville Creek’s headwaters. When I finally finished writing about those bottles and cans a few months later, I took a holiday in Melbourne from which I returned with enough ideas about contrasting topographies to divert myself for several weeks more. Now, having gotten those ideas out of my system, I am resuming work on my first distraction so that some day in the near future I might return to my original goal. This episode will be pick up the story in the same part of the creek as I got distracted in by those bottles and cans — its headwaters. Having mapped out Langsville Creek’s catchment in the last installment of the series, it is time now to trace where the water flows, and the logical place to start is where the water does: at the top. Brisbane Biodiversity Forum, Tuesday October 21. Up hill and down Dale: Where did Elizabeth drown?